1. How would you describe the Brussels Agreement in just a few words, to someone who is not versed in political, historic and social situation in Serbia and Kosovo? The Brussels Agreement between Kosovo and Serbia, with the mediation of European Union and fully supported by the USA, is a new chapter in our mutual relations, it is a contribution to peace and stability, of our mutual understanding and of cooperation for the wellbeing of our citizens and our countries, This is also a precondition for both our countries on our path of European integration. 2. Now the same question  which is the greatest value of the Brussels agreement and which details of that agreement would you consider as crucial- please note that it is a responsibility to explain this in more detail to the public opinion in Serbia. Initially, why the agreement was reached; that this was achieved by both sides consciously, with their good will, with political and stately responsibility, without any imposition from other sides. Republic of Kosovo is a state built on civic principles, where all citizens, regardless of their ethnic, religious or racial background, equally enjoy their rights and freedoms. Serbs, as equal citizens, have the same rights as Albanians and other ethnicities. Serbian language is in official use in the whole territory of Kosovo, regardless of the fact whether they live in that municipality or not. Out of 38 municipalities, through decentralisation process, municipalities have been established with Serbian majority, even in cases when their number has not passed that of five thousand inhabitants. Municipalities of Leposavic, Zubin Potok, Northern Mitrovica, Novoberda, Shterpce, Kllokot, Partesh and Ranillug are municipalities in which the Serbian population leads the municipal governments. In Kosovo, municipalities have a wide autonomy in deciding their own finances, health care, education, judiciary, policing, spatial and urban planning etc. All this is further stated and strengthened by the Brussels agreement through establishment of the Association of the Serbian municipalities of the northern Kosovo. All this stated on this agreement between Kosovo and Serbia is guaranteed by the Constitution and the laws of the Republic of Kosovo. 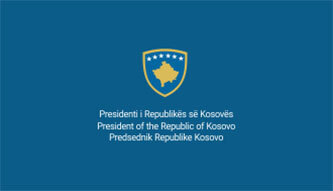 The only novelty is the fact that Serbia has agreed to provide help in abolishing of the illegal and parallel structures in the four municipalities in the north of Kosovo and that in these four municipalities, during this year, as well as in the rest of the territory of Kosovo, local elections will be held and legal and legitimate governing structures will be elected. 3. Is this confirmation of the Ahtisaari plan or has the Government of Kosovo made a step towards a fast integration of Serbs from northern Kosovo into the Association? 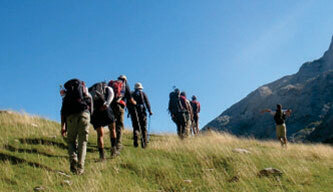 We want to integrate all Kosovo Serbs as equals and with their own will into Kosovar society. Majority of the Serbs have already done this, if we calculate that around one hundred thousand citizens of Serbian community lives in central and southern Kosovo and only sixty thousand live north of the Iber river. We want Serbs to have the same rights as the rest of the citizens of Kosovo, regardless of which part of the country they live in. Their national rights and freedoms are not an issue to be emphasized. These rights are untouchable, guaranteed by the Constitution and the laws of the Republic of Kosovo. 4. How much does, by means of this agreement, the Kosovar society gain in general, and in particular the Serbs, and how much/ what do they lose ? No one loses. In north of Kosovo we gain the establishment of the law and order. Republic of Serbia too engages and helps in conformity with the agreement towards the realization of national, religious and other rights of the Serbian community in Kosovo, as well as towards economic development. All this policy will now be publicly managed, in the manner of the supervisory principles prescribed by the European Union for the agreement implementation. 5. Is it necessary to, for the implementation reasons, change the laws and dispositions, and if yes, which ones? Commissions of the both countries are working on concrete steps for the implementation of each point of the agreement and they will do all that is necessary for it. 6. Are you expecting resistance from within the Albanian community for the agreement application? 7. Local elections, according to the available information, are planned to be held in October. 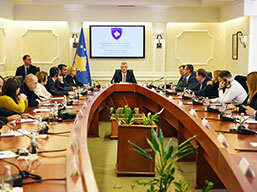 There are indications that elections for the Parliament of Kosovo might be held at the same time. Would it be a good thing for elections to be held at the same time, and if yes why so, and if not why not? It is foreseen that this year elections are held for the municipal assemblys and municipal mayors. Parliamentary elections are dependent on the agreement between the political parties and subjects. The process of the electoral reform is underway as is the process of the election of the President of Kosovo, through Parliament or via the direct vote of the citizens. There are still disagreements in relation to electoral districts, to the open or closed lists etc. The desire is not to enter the Parliamentary elections with the old laws. 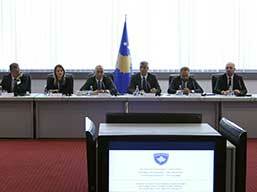 However, the final decision rests with the Parliament of Kosovo. 8. The first announced process, let us call it that, the transformation of the security structures and their inclusion into the Kosovo Police Force. What does this mean concretely and how and within which time frame will this be implemented, inclusive of nomination of the municipal and regional commanders? The agreement is clear and concrete. Kosovo Police is unique and it operates under a single command structure. 9. In the coming weeks, so called technical talks are expected to commence on initially telecommunication and energy, followed by other subjects. No doubt that the requests of the Kosovar pensioners will be included on one side, and on the other side we have the issue of returns/ debts and in general the property issues. 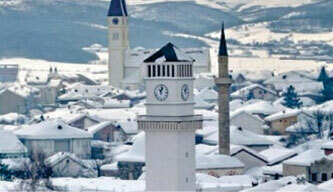 Could you tell us the official position of Prishtina on each issue? We will certainly use the experiences of others in respect of the legality, of the international conventions and standards. On this, the succession process between the republics of the former Yugoslavia could be of help. We hold no prejudice to this and there are no preconditions during these talks. Parties work in an independent manner with consideration for each other on completely equal footing. 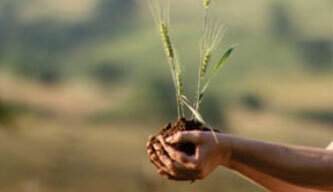 Delegations have by now achieved a working routine, which is a good thing as it contributes to the success.